I hope you are enjoying my wedding series- I am loving spending time writing each post and reliving our day! Today we are talking about the music, entertainment and food. I feel like music really sets the tone and ambience at a wedding. 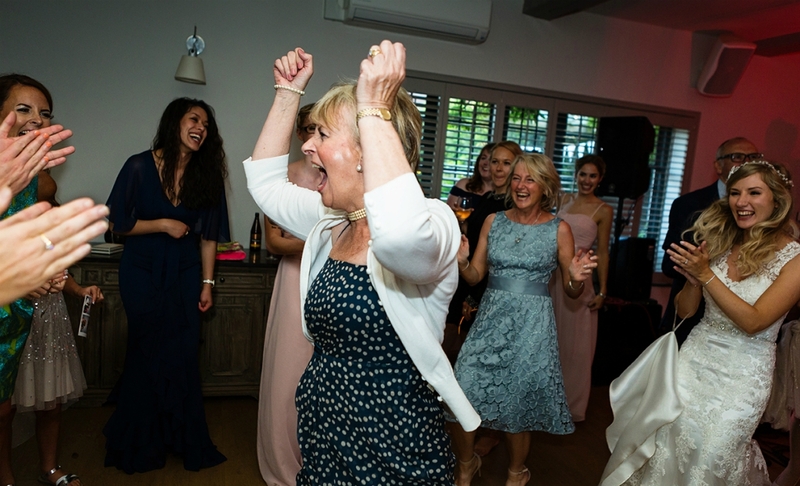 For me, one of the easiest decisions was deciding which song to walk down the aisle too - I've always loved the classic Canon in D by Pachabel and have always pictured myself walking with my Dad to it! When I heard the music start up it made me so emotional and getting married suddenly felt very real. 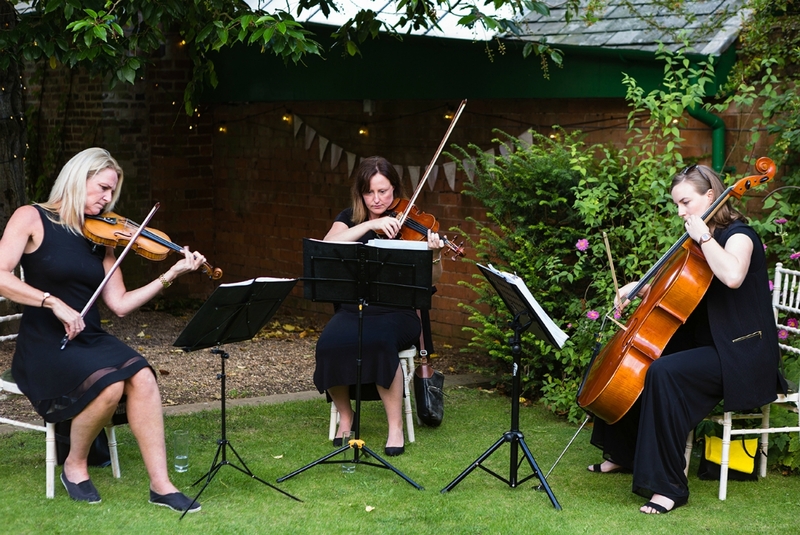 I absolutely adore the strings and was so happy to find the Simply Strings Trio who had a great repertoire and had played at our venue before. They played throughout the ceremony and into the drinks reception. During the signing of the register they played Hoppipolla by Sigur Ros and Your Song by Elton John, and we walked out to Fly me to the Moon by Frank Sinatra (we had to have a bit of Frank!) and during the drinks reception they played all of the songs we'd requested. 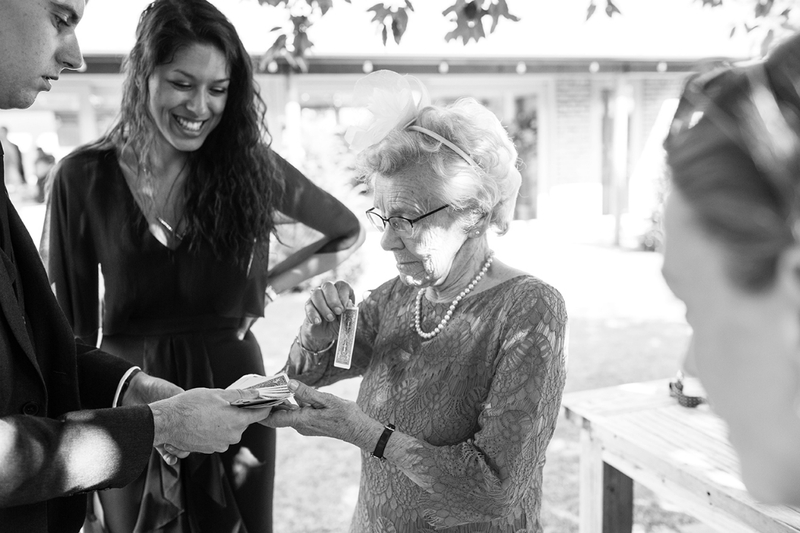 Simply Strings were brilliant and so easy to deal with (as were all of our suppliers - we were really lucky). 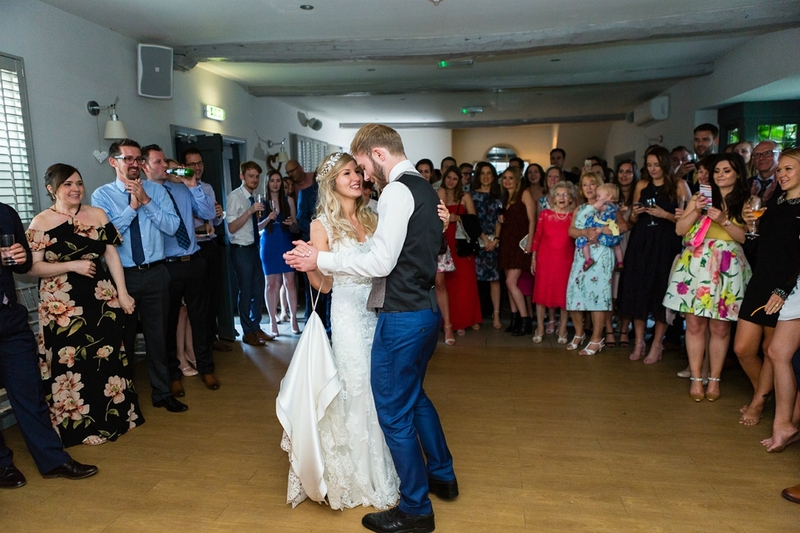 Our first dance was Andy Williams 'Can't take my eyes off of you' which was so perfect for the fun and happiness of our day. Everyone loved clapping and singing along, and we got everyone onto the dancefloor at the first opportunity! During the wedding breakfast we had songs playing from Doddington's wedding playlist and for the evening we had the most fantastic band called The Indie Killers. I find that a band can make or break the dance floor at a wedding so did lots of research and was totally convinced after seeing so many rave reviews for The Indie Killers. They were everything we wanted and more - the dancefloor was full all night and they were amazing at getting everyone involved, there was so much energy! They also let my sister, and one of our friend's play with drums with them which was so special. It really was our own personal gig. Here's a video of my sister playing with the band. I also can't talk about the music and entertainment without mentioning this special surprise from our MC, Tommy. He'd been talking to the band secretly to arrange a rap performance of 'Ice Ice Chris and Daisy' - it was amazing and so thoughtful! You can watch it here. Obviously the band were a huge part of the entertainment for the day, and have been raved about ever since! 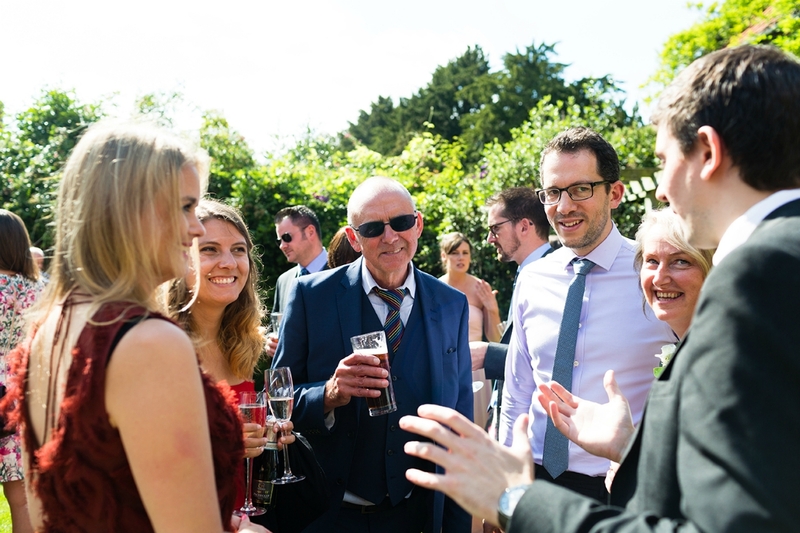 We also had a close-up magician, Tyler Harrison who I'd actually seen perform at one of the Gleam Futures Summer parties (I wasn't there but saw on one of the many YouTube videos after the party!). 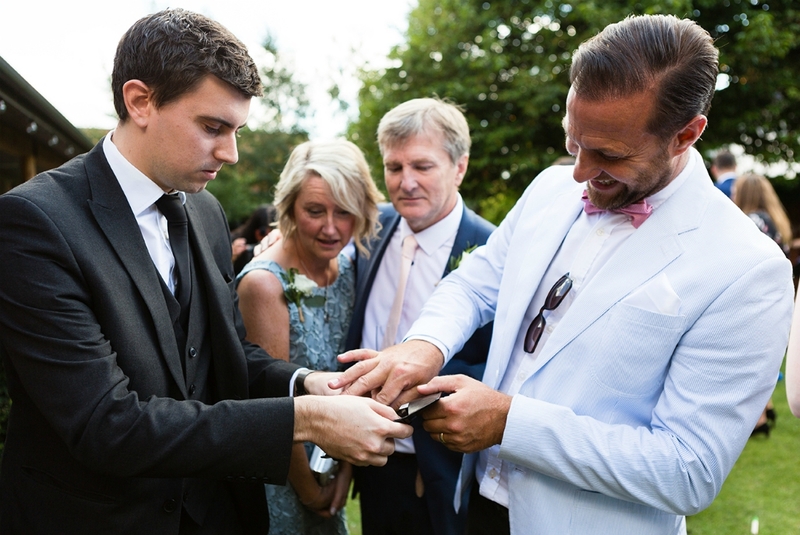 Chris absolutely loves magic so we had to have one, and we thought it was a great way of filling the time between the ceremony and wedding breakfast. Tyler was fantastic and so down to earth and friendly. We loved hearing the gasps and laughs around the garden as he performed. 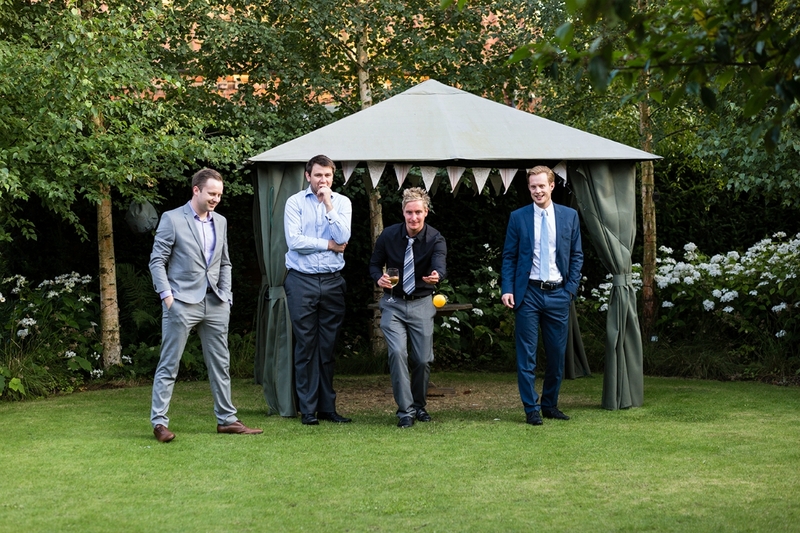 We also put out some garden games for guests to enjoy and luckily it was such a beautiful day so people really could make the most of them! 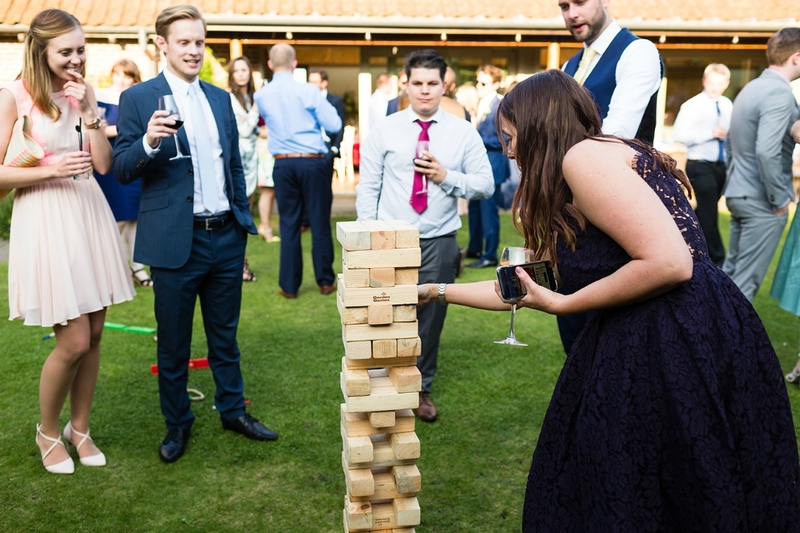 We hired Giant Jenga from Pretty Little Extras and this went down a storm - every 10 minutes we could hear it topple over! Another part of the day which I had to make happen, was the Photo Booth. 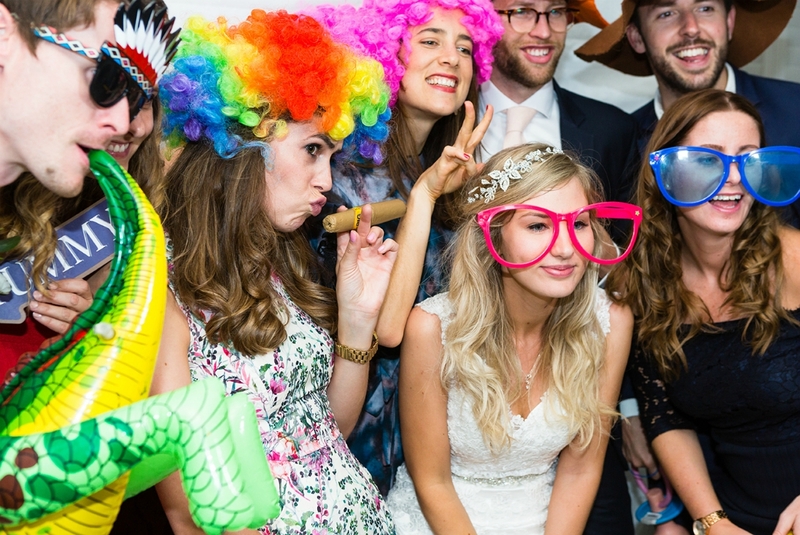 If there is a Photo Booth at a wedding I am all over it. 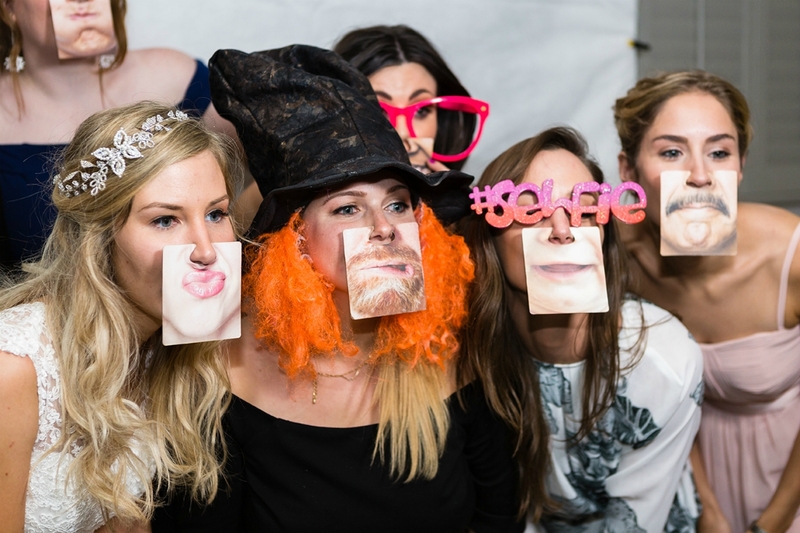 We hired the selfie booth from Snapz who were absolutely brilliant and genuinely lovely guys. I loved the selfie booth as it's open so everyone can watch the fun, and you can fit lots of people in a photo. It also doubled as our guest book - everyone got their own print out and then one was put in the guest book with a space for them to write their message. 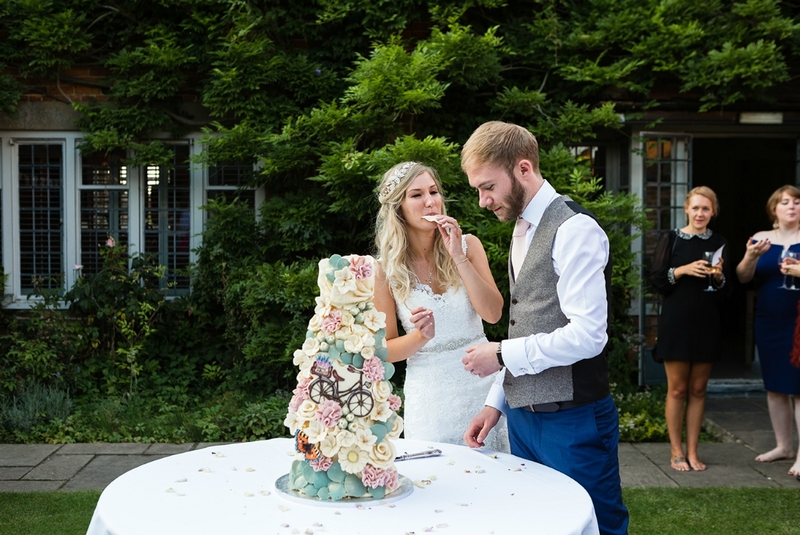 We knew the food was going to be delicious as our venue, Doddington Hall uses seasonal produce from their own estate and local suppliers. We weren't disappointed! To accompany our Pimms and Prosecco reception we had a small number of canapés - mini toasted pittas with hummus and salmon blinis. For the wedding breakfast we were able to give our guests two options for each course. For starter it was either a seasonal vegetable soup or oak smoked duck; for main it was a choice between a blade of Doddington herd Lincoln red beef or shoulder of Lincolnshire lamb and for dessert it was either strawberries and cream or gooey chocolate pecan pie. Later that evening we had a big cheese table with in house delicatessen counter cheeses, olives and artisan breads. It came with fresh fruit and homemade chutneys, and we also added charcuterie and Doddington pies. It was very well received after a good few hours of dancing! 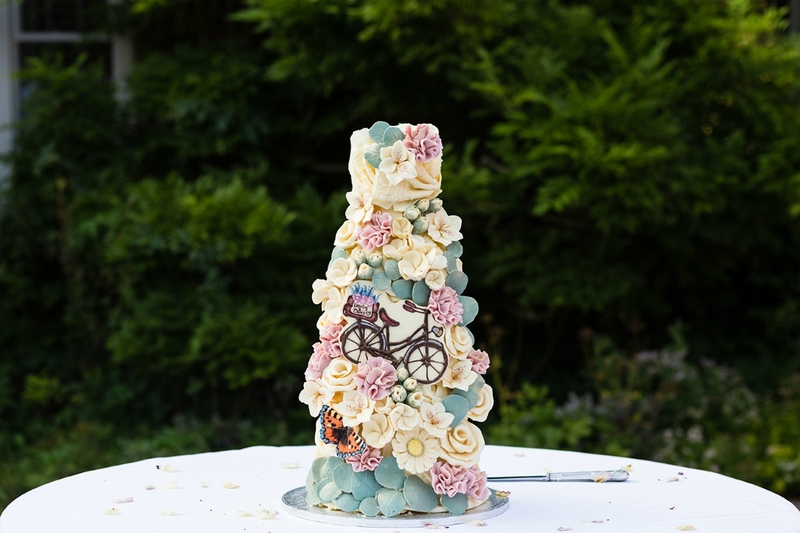 Last but definitely not least was our incredible wedding cake. Isn't it the most amazing cake you've ever seen? We are so very lucky as my Auntie Jenny works for Choccywoccydoodah (you can sometimes spot her in the TV show!) and so made us our beautiful cake. She even managed to add in a bike for Chris! It's a work of art and we really didn't want to cut it, but luckily we did as it was so delicious and we carried on eating it the next morning. We went for a dark chocolate layer with chocolate ganache, a chocolate orange layer with chocolate ganache and a lemon layer with white chocolate ganache. 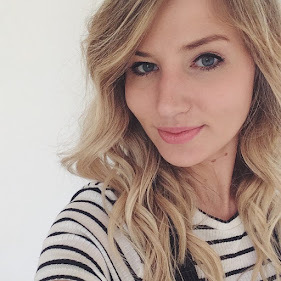 Another long post but we are nearing the end of my wedding series - only one more post to go! You can read the other posts in the series here.